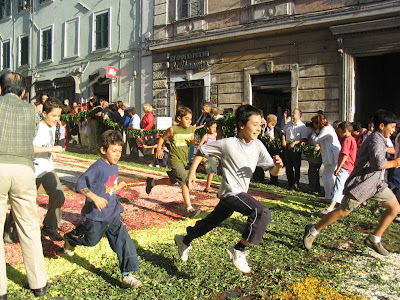 If you ever plan to go to Rome for the second week of May, go to a neighboring town Gensano to see the famous Infioratu - festival of colors. 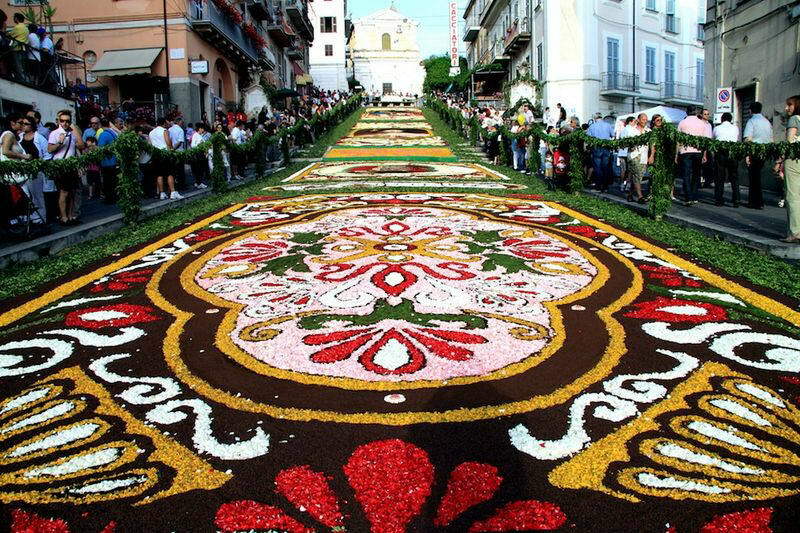 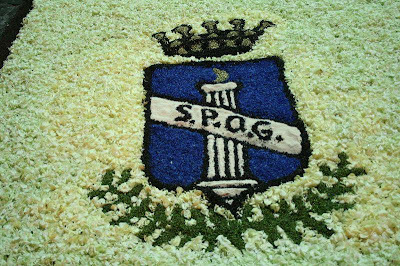 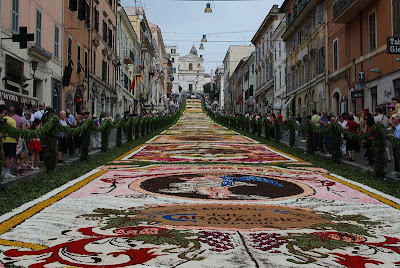 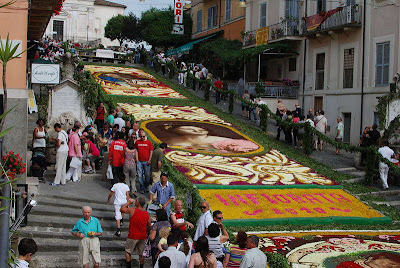 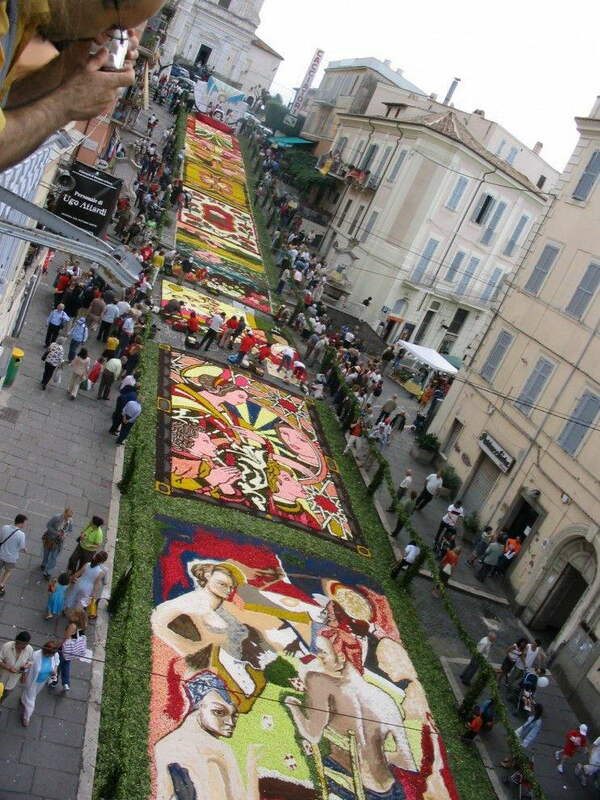 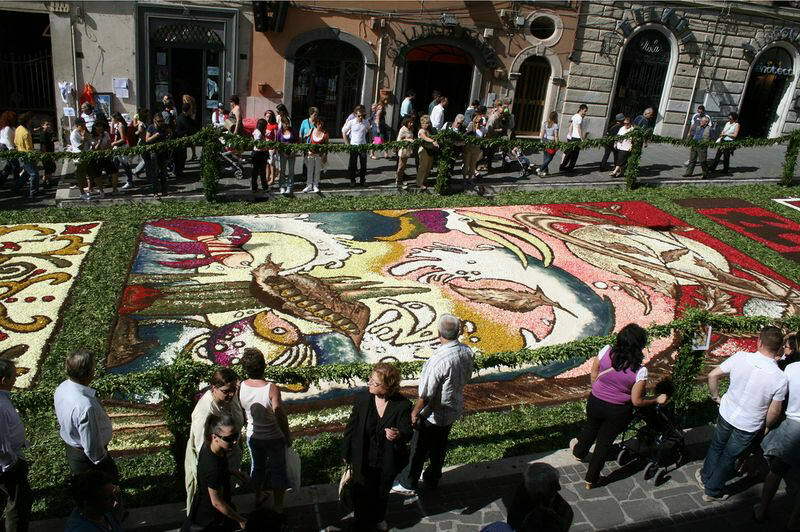 Gensano Infiorata - Beautiful Flower Festival, which was founded in 1778. 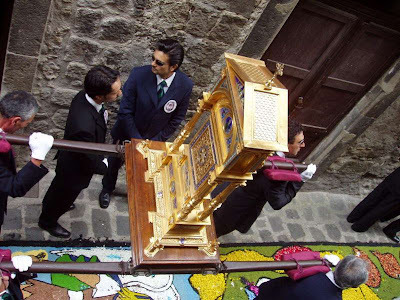 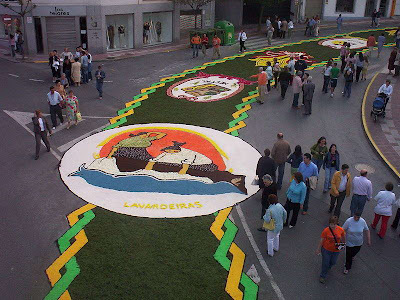 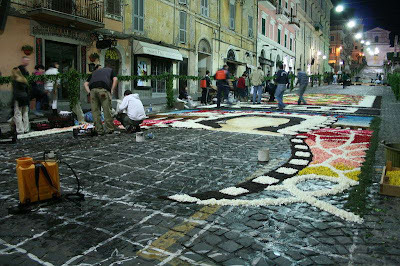 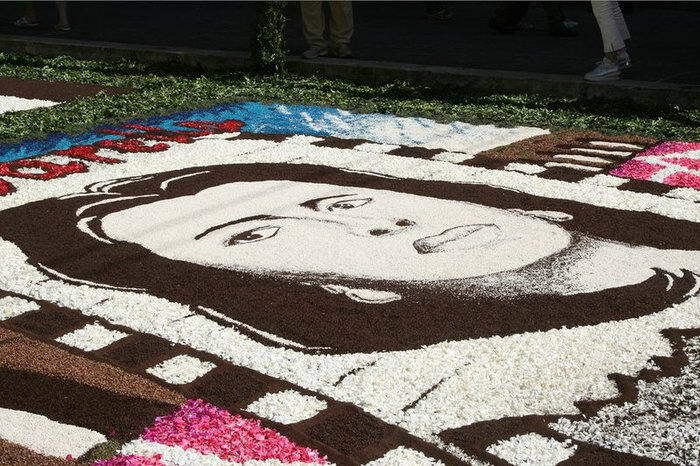 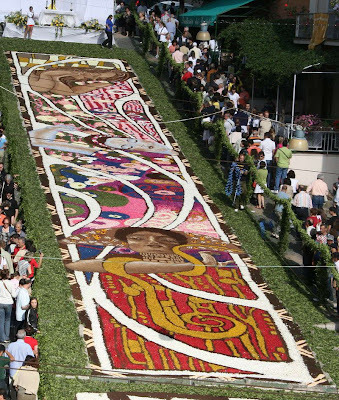 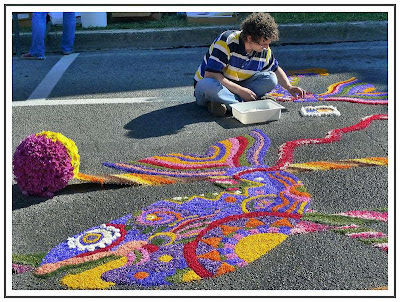 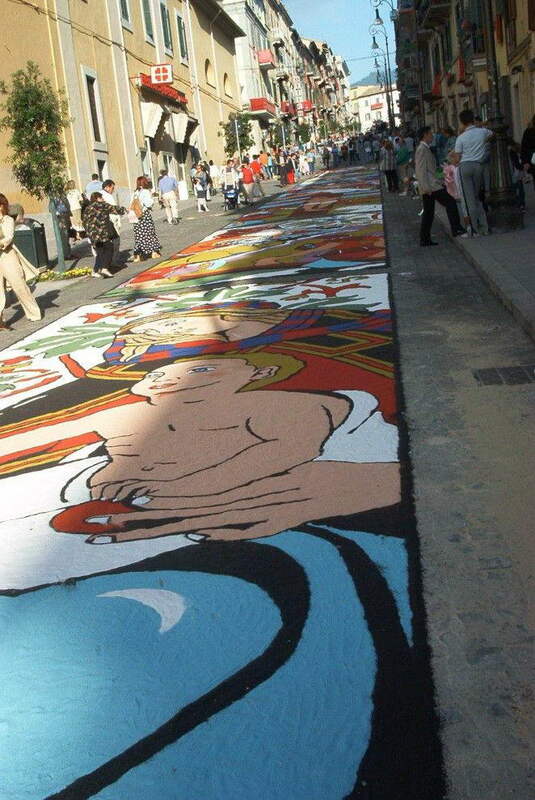 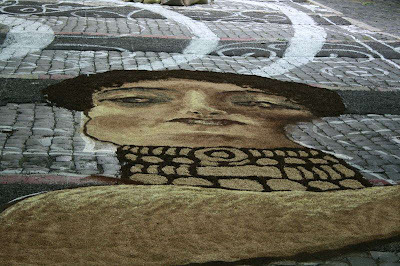 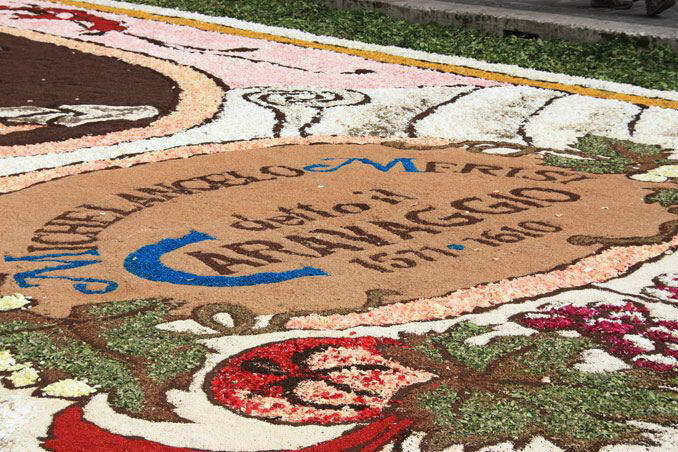 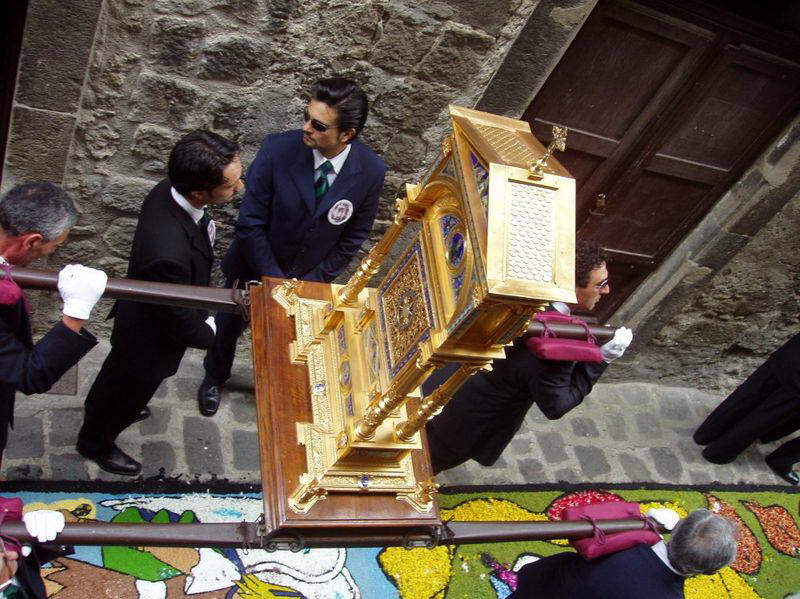 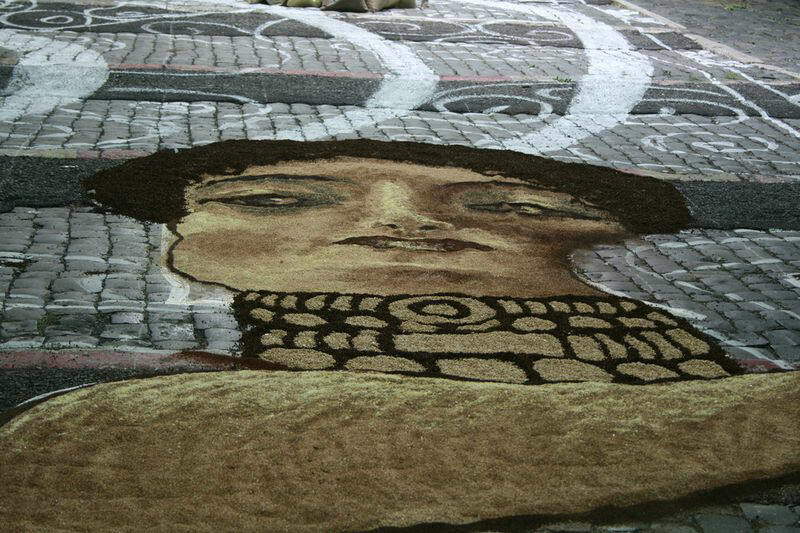 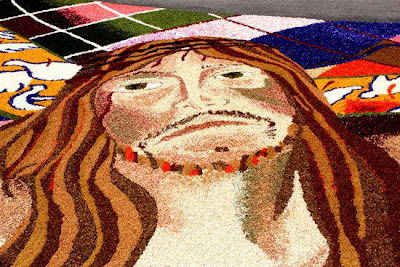 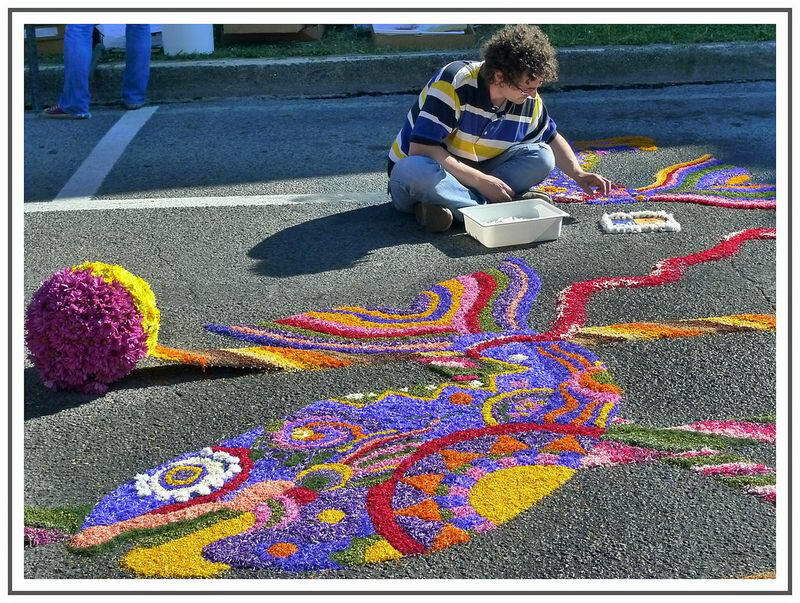 Each year, local artists cover the entire street (Belardo) floral carpets on the establishment of which they were inspired paintings on various subjects. 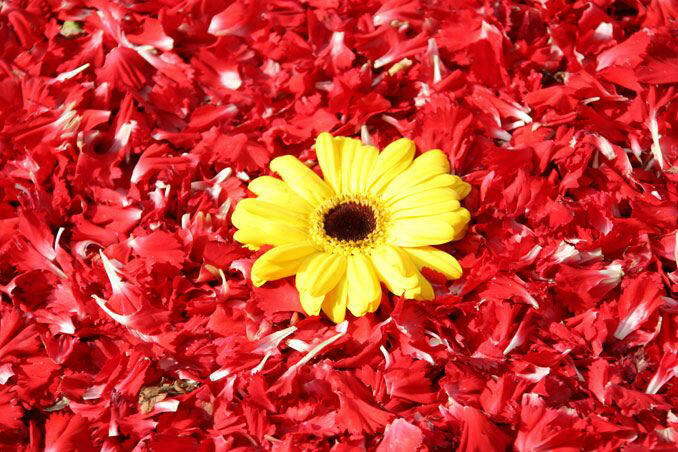 Festival of Flowers begins with the collection of millions of colors for 2-3 days before the event. They keep fresh in the caves Gensano, and artists paint their masterpieces on the sidewalk Via Belardo. 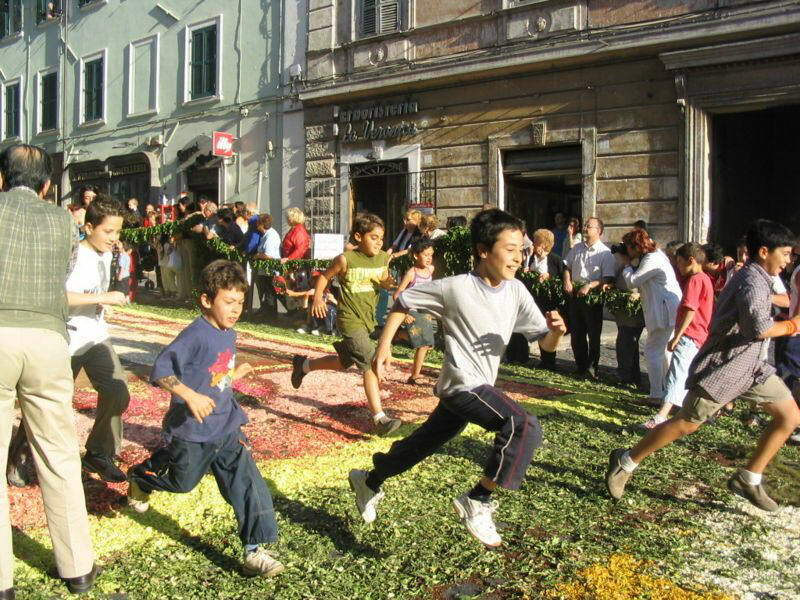 The festival ends on Monday, the third week of June, when children are allowed to run on the flowers, destroying the great work.